BD Vacutainer Safety-Lok Blood Collection Sets allow you to deliver exceptional patient care without compromising personal safety. Meets OSHA safety standards, with needles that can be easily shielded with one-handed activation. 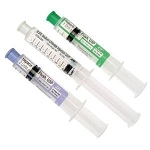 This product is intended for blood collection and infusion procedures. BD Vacutainer Safety-Lok Blood Collection Sets large, flexible wings improve method of entry during blood collection and infusion procedures. 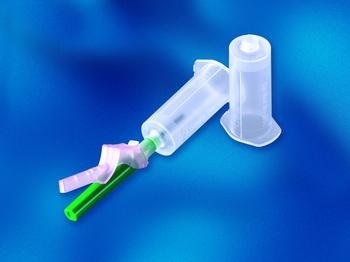 Translucent shield provides visualization of "flash back" after needle penetrates vein. Product available in 7-inch tubing and 12-inch tubing, with or without Luer adapters. 3/4" needle length. Sterile. Ready to use right out of the package, no assembly required. The Safety-Lok Shield enhances safety, yet requires no change in technique. The slim, easy-to-handle design enhances control and flexibility. Large wing size permits improved positioning during use. Minimized coiling of tubing facilitates handling. Blood flashback is seen clearly through translucent shield.